We are excited to offer meet-ups in Massachusetts for professionals who've downloaded the Perinatal Toolkit. Have you read through the Toolkit, but have questions about using it? Have you discussed perinatal emotional complications with your clients and want to talk about how it went for you? Do you want to meet with other women's health professionals who are interested in integrating screening for emotional complications into their work with pregnant and postpartum women? 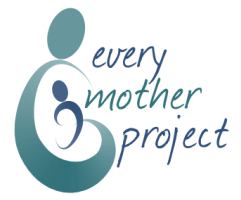 At the Every Mother Project, we are committed to supporting professionals across different fields and specialties so that they can better support women experiencing perinatal emotional complications. We work with birth and postpartum doulas, direct entry midwives, lactation professionals, acupuncturists, massage therapists, and physical therapists, among others. We know that while women's health professionals will encounter clients with emotional complications in a diversity of settings, they can benefit from group discussion about supporting women through these complications. Join our next meet-up to ask questions, network, meet other women's health professionals, and receive support from the Every Mother Project as you increase your knowledge, skills, and comfort around speaking with your clients about emotional complications.